In this edition of Industry Perspectives, Troy Miller, director of grid solutions at S&C Electric Company, explores how microgrids could help solve Puerto Rico’s long-term power needs. Over the last few weeks, the state of Puerto Rico’s electrical grid has been on everyone’s mind in the power industry. Getting Puerto Rico back online has been the Puerto Rico Electric Power Authority’s (PREPA) top priority, and rightfully so. The devastated country’s grid was knocked almost entirely offline. Efforts now are focused on getting everyone’s lights back on as soon as possible – not necessarily building out an impressive, ground-breaking new electrical system in the process. Utilities and suppliers across the United States have come together to help rebuild Puerto Rico, but rebuilding should just be the first step. We also need to look to solve Puerto Rico’s long-term power needs. Once Puerto Rico is back on solid ground, with power running across the country, then the time will come to discuss what to do next. This U.S. island commonwealth is at great risk for similar destruction the next time a large tropical storm or hurricane rolls through. There is no simple solution to harden the island’s grid, but recent events prove that change needs to happen to address future events. Even before Hurricane Maria hit, Puerto Rico did not have the most reliable grid. While it is difficult to think about long-term solutions when so much needs to be rebuilt, improving grid reliability and resiliency should be a priority. With that in mind, what if the utility moved to an underground distribution system (at least in part) instead of an entirely overhead distribution system? There is no question that interconnected distributed generation would increase the resiliency of the island’s grid, even when future Maria-like storms occur. With an overhead system, if the winds and rain knock down power lines, it doesn’t matter what back-up generation, energy storage, or grid solutions are in place. The power won’t reach customers. Being surrounded by salt water makes the potential for a complete underground distribution system virtually impossible, but moving some of the main lines underground should result in a huge improvement come the next storm. Once the lines are more protected from the elements and storms, it would be interesting to see how microgrids could additionally strengthen the grid. We have seen the value a microgrid brings to a community. In the large rebuild of Puerto Rico’s power grid, wouldn’t it be interesting if the island developed and tested a grid of microgrids on an active grid? There is no question that interconnected distributed generation would increase the resiliency of the island’s grid, even when future Maria-like storms occur. 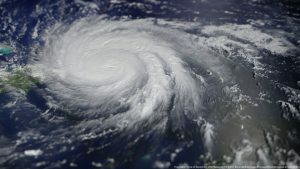 This isn’t to say microgrids will provide perfect reliability to Puerto Rico’s power users during storm season, but microgrids could make an unquestionable difference in future storm recovery. If communities throughout the island had microgrids at their disposal — paired with underground distribution — and renewable energy resources, many power-related problems could be avoided during the next major storm. Power should come on for most of the country much quicker and, in some instances, the power might stay on throughout the worst of the storms. Rebuilding goals in Puerto Rico shouldn’t aim to get the grid back to where it was. Hopefully, island leadership pushes forward and PREPA can build a grid that will best serve its customers. We may witness a great example of what the first real grid-of-microgrids could realize in the future. 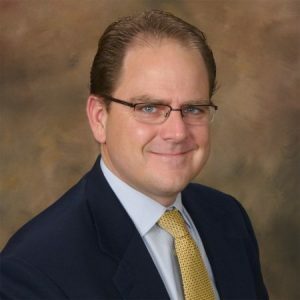 Troy Miller is the director of grid solutions at S&C Electric. The Growing Problem of Momentary Power Outages: What Can Utilities Do? 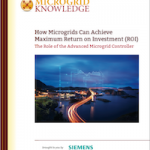 What Does a Microgrid Cost?